Tom Banchoff says a new book by Garry Wills features five far-reaching changes that highlight the capacity for renewal within the Church and provides an historically grounded hope for change under Francis. Banchoff's scholarship centers on ethical and religious issues in world politics. His most recent books are The Jesuits and Globalization: Historical Legacies and Contemporary Challenges (Georgetown University Press, 2016), co-authored by the Berkley Center’s José Casanova, and Embryo Politics: Ethics and Policy in Atlantic Democracies (Cornell University Press, 2011). He is also the author of several edited volumes, including Religion and the Global Politics of Human Rights, co-edited with Robert Wuthnow (Oxford University Press, 2011); Religious Pluralism, Globalization, and World Politics (Oxford University Press, 2008); and Democracy and the New Religious Pluralism (Oxford University Press, 2007). Two of Banchoff's previous books explored the intersection of history, institutions, and values in European politics: The German Problem Transformed: Institutions, Politics, and Foreign Policy, 1945-1995 (University of Michigan Press, 1999) and Legitimacy and the European Union: The Contested Polity, co-edited with Mitchell Smith (Routledge, 1999). Banchoff received his B.A. from Yale University in 1986, an M.A. from the University of Bonn in 1988, and a Ph.D. in politics from Princeton in 1993. 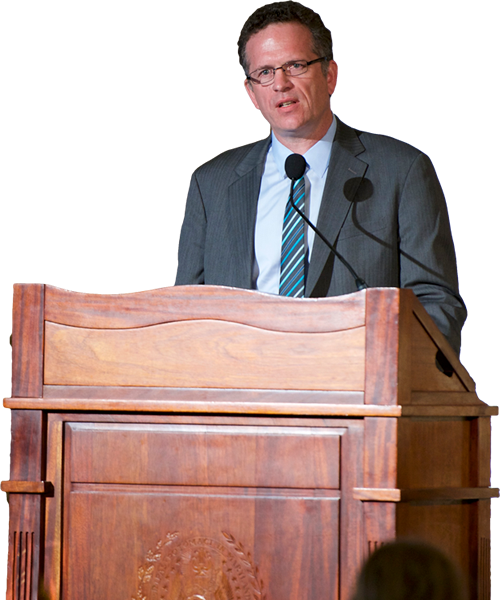 He held a James Bryant Conant Post-Doctoral Fellowship at Harvard's Center for European Studies from 1997 to 1998 and was a Humboldt Fellow at the University of Bonn from 2000 to 2001. Banchoff was awarded the DAAD Prize for Distinguished Scholarship in German studies in 2003.